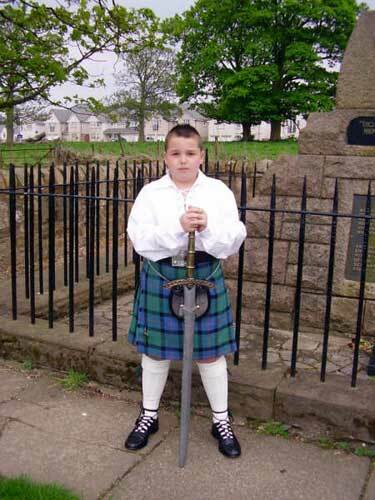 As some of you may know being the Webmaster of this wonderful wee site we all call home, I sometimes get an e-mail from time to time that really makes me sit up and take notice. 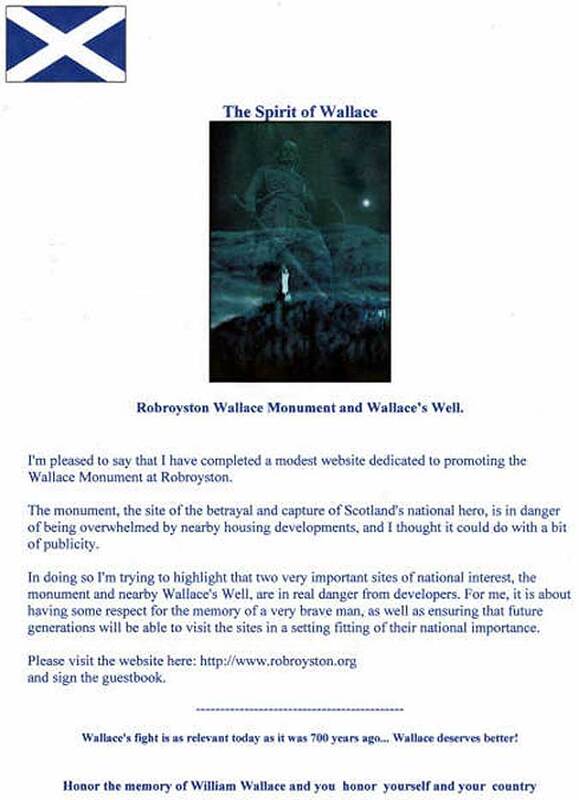 Recently a lovely lady called Bonny got in touch to ask the Society if we were aware of the state of the Wallace monument at Robroyston, I assured her that the Society were only too well aware of that particular situation and that matters were in hand to rectify it via consultations with Glasgow City Council and the various builders involved. 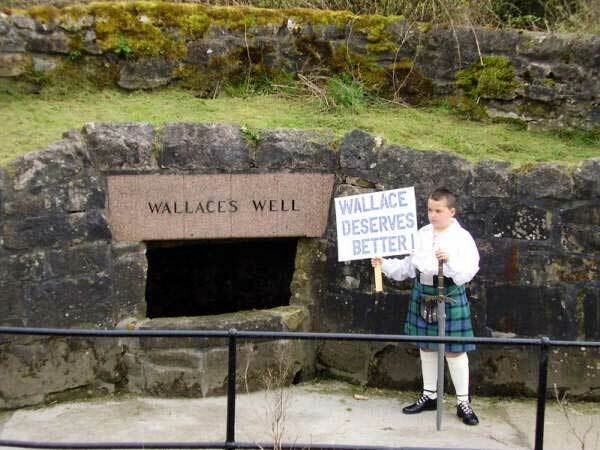 I got another email from Bonny telling me how her thirteen year old grandson Glen was really upset at the state of the monument and decided to do something about it, and as you can see from the pictures young Glen decided to mount a one man private protest. 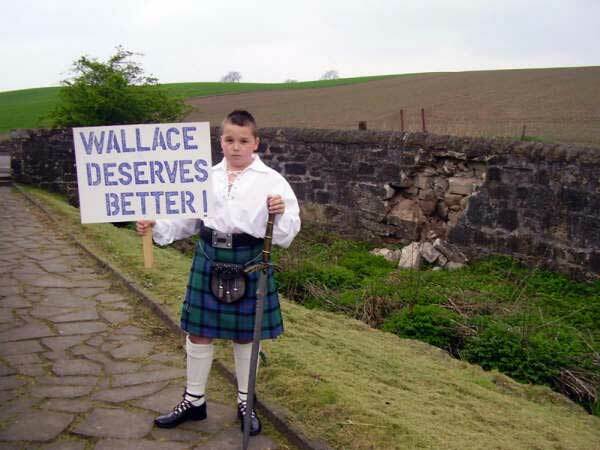 If this is a wee sign of what our kids are like then it makes me very optimistic for the future. 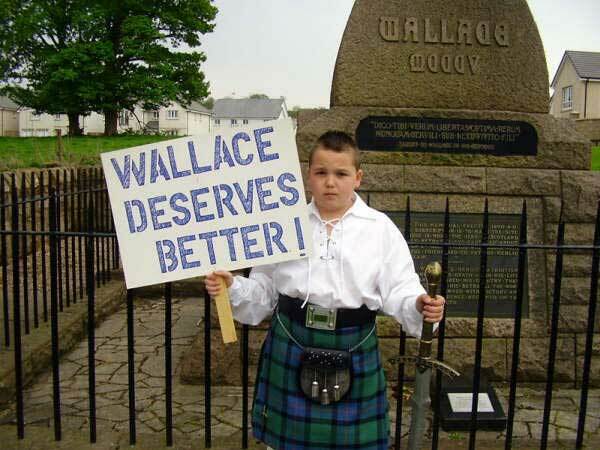 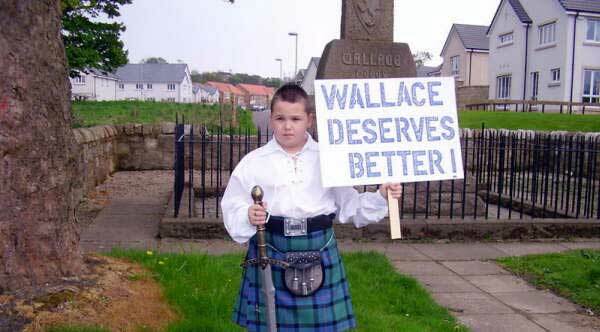 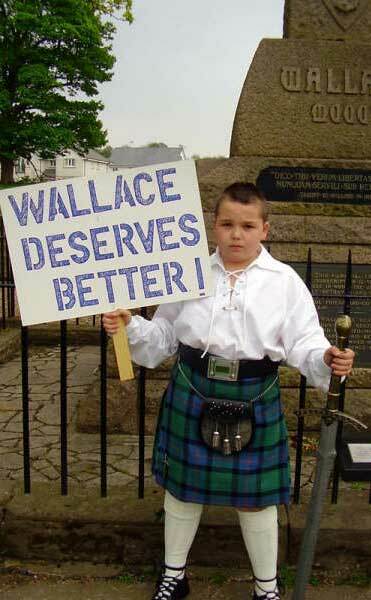 Absolutely fantastic work Glen, we're so very very proud of you as would William Wallace be, keep up the good work.